With the help of the Belt and Road Initiative (BRI), Xi'an has been continuously strengthening cooperation with a number of regions, cities, and ports in recent years. 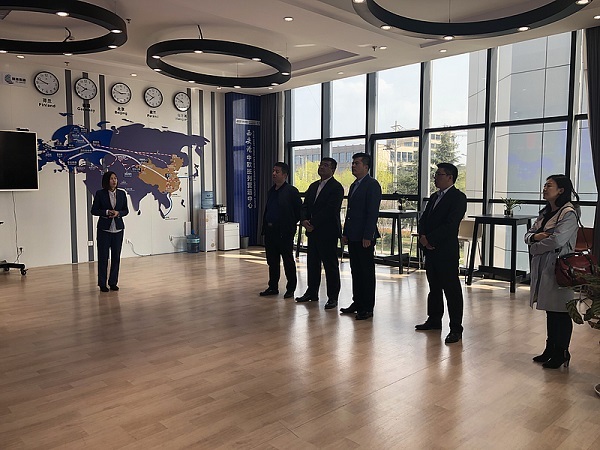 A delegation from Qinhan New City, Xixian New Area visited the Xi'an International Trade & Logistics (ITL) Park on March 20 in search of cooperation opportunities. The Imported Products Exhibition and Transaction Center project is located in the core area of the Xi'an Comprehensive Bonded Area, with a planned land area of about 6.67 hectares and a total investment of 1 billion yuan ($163.4 million). Xi'an Integrated Bonded Zone’s cold-chain transaction project occupies a ground space of 4.27 hectares and cost nearly one billion yuan ($151.69 million) to construct. Midwest Bulk Commodity Trading Center is a wholly-owned subsidiary of Xi’an Maike Metals International Group. It started construction in 2014 and opened in early 2015. The core business zone project in the Xi’an Highway Hub focuses on information transaction. Based in Xi’an and linked with the New Eurasian Land Bridge, the zone serves as a modern transportation and logistics hub in northwestern China. The office building of the Xi’an Comprehensive Bonded Area is located to the west of the No 1 entry and exit gate in the comprehensive bond area, and opposite the Xi’an Railway Container Center Station. The Xi’an International Bonded Area logistics warehouse rental project is located in the Xi’an Bonded Logistics Center in the bonded area’s first phase, next to the No 1 entry and exist gate in the bonded area.